Iran’s Foreign Ministry spokesman dismissed as “unrealistic” recent remarks by French Foreign Minister Jean-Marc Ayrault about Tehran’s role in the ongoing war in Syria, saying everyone knows that France is among the countries that have complicated the Syrian crisis. “Unfortunately, (recent) statements by the French foreign minister, who should be well informed of developments in the region and the world, are unrealistic and far from expected,” Bahram Qassemi said on Wednesday. He made the remarks in response to Ayrault, who claimed on Sunday that Iran and Russia would become “accomplices in war crimes” if they continued to prolong the war in Syria. “Everyone is aware that France, itself, is among those countries that brought about the current crisis in Syria and complicated the deteriorating situation in the country by adopting wrong policies,” the Iranian spokesman stated. 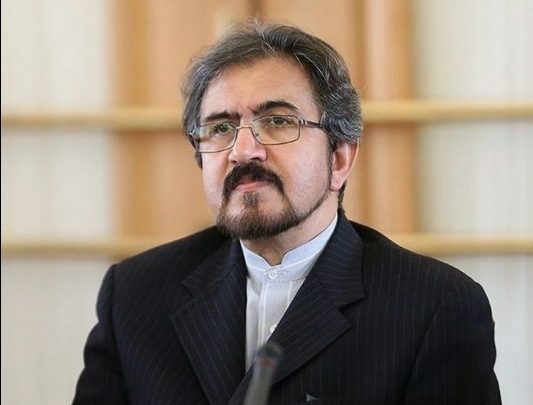 Iran’s “spiritual influence” in the region is directed at efforts to fight against the terrorists with whose crimes some Western countries, like France, are fully familiar, Qassemi said. Syria has been gripped by civil war since March 2011 with various terrorist groups, including Daesh (also known as ISIS or ISIL), currently controlling parts of it. According to a report by the Syrian Center for Policy Research, the conflict has claimed the lives of over 470,000 people, injured 1.9 million others, and displaced nearly half of the country’s pre-war population of about 23 million within or beyond its borders. In the meantime, Iran has remained a close ally of Syria and supports its legitimate government in the face of foreign-backed militancy. Tehran insists that the Syrian nation is the only side that has the right to shape the future of its own country, rejecting foreign intervention with the use of force.